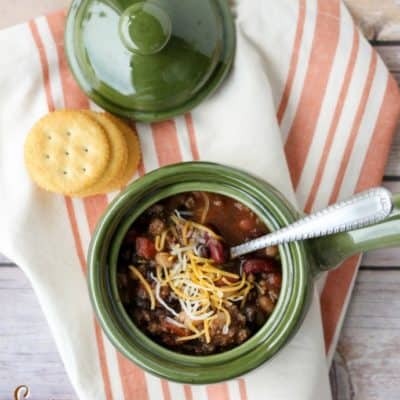 Cooler weather calls for hearty and comforting meals like this Three Bean Chili. With limited prep required, it’s a perfect meal for a busy weeknight! Instructions included for making on the stovetop or in a pressure cooker! A couple weeks ago, my sisters-in-law and I got together for a day of batch cooking and meal prep. 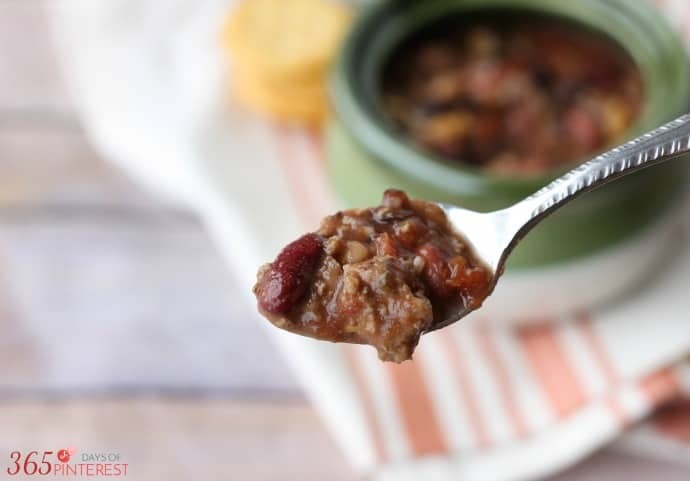 We made 16 freezer meals (plus lunch breakfast goodies) and this Easy Three Bean Chili was one of them. The recipe came from a friend of Jamie’s and is perfect for eating in a sourdough bowl or spooning over hot dogs. Add cheese, sour cream, green onions, Fritos or anything else your family likes to serve with chili! Generally, I am a “real chili doesn’t have beans” kind of person. 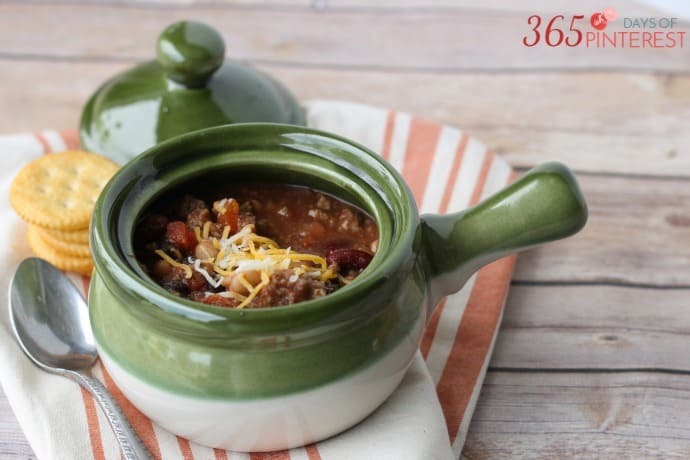 This other chili recipe won a few awards over the years, and it’s still my favorite. But realistically, we just can’t afford to have several pounds of meat in a meal. My boys have started eating like teenagers already and I have to get creative when it comes to stretching things a bit. Beans are a great way to add nutritional value to a meal while stretching it at the same time. 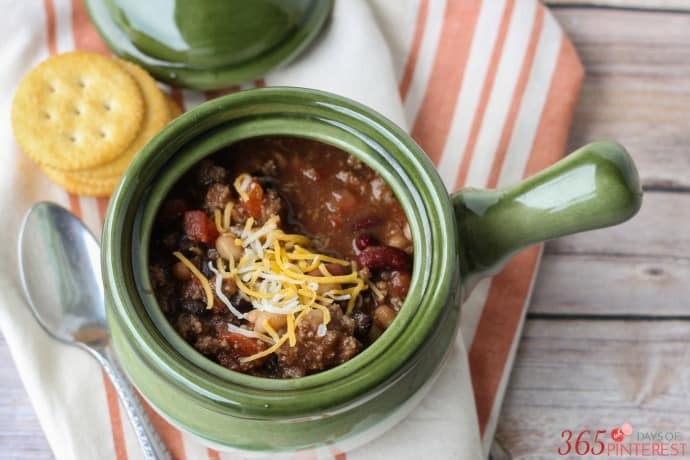 This 3 bean chili is an easy weeknight dinner with instructions for cooking on the stovetop or pressure cooker! In a large pan, brown the ground beef with the onions and garlic. Drain fat. Add in all the other ingredients and simmer for at least 20 minutes, stirring occasionally. The longer it simmers, the more the flavors develop. Press Brown/Saute and allow to heat up for a couple minutes. Brown the ground beef with the onions and garlic. Drain fat. Add in all the other ingredients, stir and press Beans/Chili. Adjust time down to 5 minutes. Press Start/Stop. When time is up, allow 5 minutes for natural pressure release and then open the steam release valve to release any addition pressure. 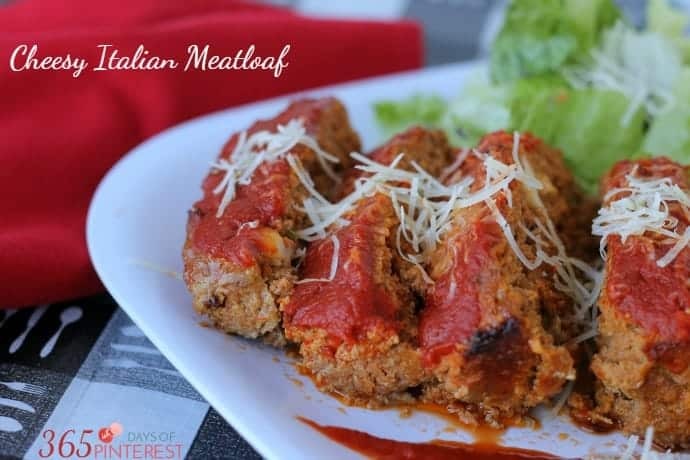 A great way to prepare this meal is to brown the ground beef with the onions and garlic, and then put everything into the slow cooker for a few hours. 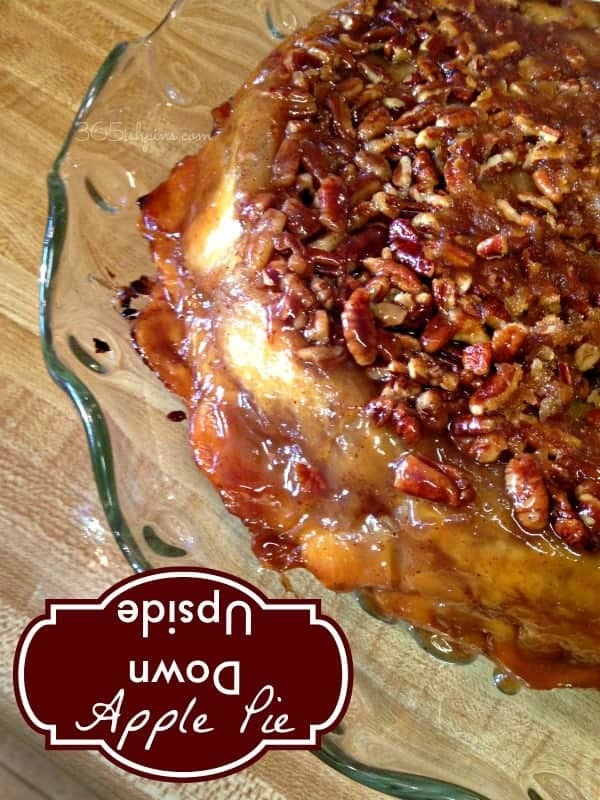 The flavors develop so well with a low/slow cooking process! This also freezes well. Place the chili in a bag (meat already cooked) and freeze. When ready to eat, just dump the whole chili-sicle into the slow cooker and let it warm up all day. Serve with corn bread and all the fixings for an easy meal. 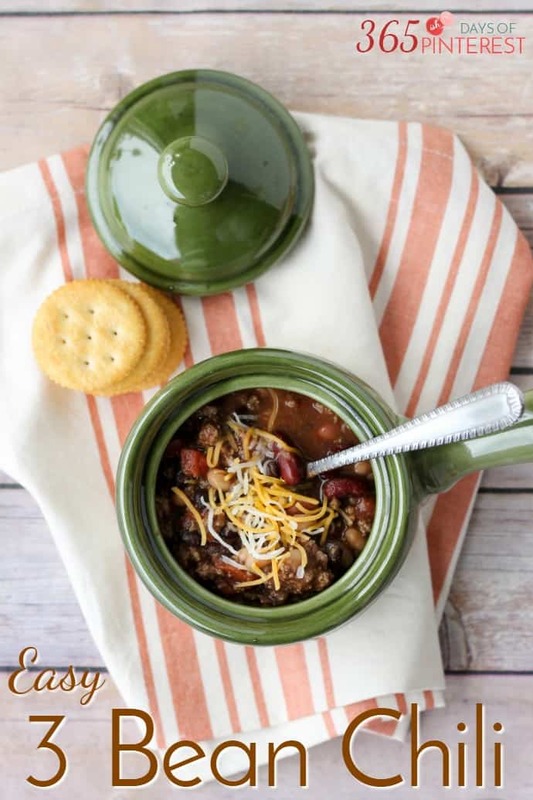 For other comfort food like this Three Bean Chili, check out these recipes! Chili-sicle! You are cracking me up!